In a few of the interviews I have done recently, people have asked some variation of the question: What gets you most excited about content marketing these days? While I’m constantly interested in and thinking about content, one of the ideas that excites me most is intelligent content and the conversation that surrounds it. Yes, it may seem like the company line, as Content Marketing Institute recently purchased Intelligent Content Conference, but I’ll be honest. When I heard the acquisition news, I wasn’t all that excited. I thought the topic of intelligent content would be boring – not to mention that it wasn’t immediately evident to me how it tied in with content marketing. And, to be even more frank, I was a bit hesitant to dive into a world that I thought would be very technical and heavily focused on things like DITA and XML. But you know what? The more reading I do and the more I talk to people, the more excited I become. Yes, I’m a content nerd by nature, but I truly believe that intelligent content is “next generation content marketing.” It’s an ideal way to get smarter about the content we spend so much time and money to produce. As I sat back, looking at the organized Post-It® notes that became the final speaker lineup [for Content Marketing World 2014], I started to count the number of content marketing projects and case studies that actually positioned content as an asset for the company. How many of these projects could scale? How many of these content projects could be easily reused by other divisions or departments? How many could be repurposed without major human intervention? How many could even be found after the campaign was over? Sadly, there weren’t many. 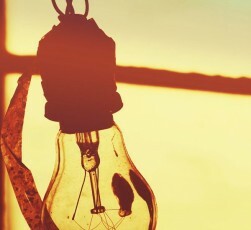 While I have only been learning about the field of intelligent content for a few months and am far from an expert, I have had many lightbulb moments that are reshaping how I think about content marketing – and, more importantly, about how marketers can truly create value for their audience (which is what we want to do with our content, regardless of what we call this). When information exists in multiple areas, it often differs based on content, style, tone, and message. Customers don’t know which one is correct, most up to date, or comprehensive. When customers encounter these inconsistencies, they become understandably confused. Sometimes confusion leads to aggravation. Inconsistency damages customer experience. This is one of those things you likely know, but do your customers have a consistent experience with your organization or are they confused? What are you doing to make that experience better? Consistency in content, tone, and message is becoming increasingly important. If your customers are at the center of your marketing – and business – this is critical. Getting everyone to sing from the same page is a challenge when you want to execute a content marketing program in a large organization, but it’s even more of a challenge when you are working through intelligent content issues. Everyone I talk to mentions the challenge of getting buy-in, especially when so many groups are involved. Get buy-in from the teams who play a role in the content process (from executive management to subject-matter experts to IT). Have collaborative, in-person workshops to foster camaraderie and ownership. Have consistent goals across the organization – and continually provide updates on progress. Start by creating pockets of success so you can show early victories and build out the program. If you are like me, your eyes may glaze over when you read or hear about XML and DITA. So when Marcia Riefer Johnston (our fabulous managing editor for the ICC blog) and I were talking with Ann Rockley a few weeks ago, I was thrilled to hear Ann tell us that we need to shift the conversation away from XML and DITA and focus on the concepts of intelligent content. In fact, she said many of her clients use something similar to Microsoft Word for their intelligent content projects. This leads me to my next aha moment. Technology can do its magic only after the structure has been put in place. Technology doesn’t create the structure; people do. You could restructure your content today without buying a single tool. While technology is absolutely critical, start by understanding the concepts of intelligent content instead of focusing on the technology behind it. Shifting my focus away from XML right now, I have started to think about the concepts of intelligent content and how we can apply them to our content marketing strategy at CMI. As one example, we collect content marketing examples from several different places: our blog posts, the #CMWorld Twitter chats, emails received, etc. Instead of looking for examples in an ad-hoc manner, we now collect specific information for each example (company, description, etc.) and then tag it for various characteristics (industry, tactic type). While I would not classify the way we collect this information as intelligent, it’s our start of beginning to think in that direction. To find content, authors have to know exactly what they’re looking for and where it’s likely to be stored. If an organization does not have a content document management system, the content is seldom organized or classified with reuse in mind, so authors may have to search through volumes or incongruent information to identify the piece they want to reuse. In an ideal world, marketers would be able to deliver the right content to the right people at the right time. But how often do you see this in practice? It’s not just about the format. If we’re to truly make our content accessible to customers, it has to be discoverable. When you have unstructured, untagged, unintelligent content, the information you or your customer are looking for is very hard to find. Every website has content that’s begging to be set free through structure. Yes, set free. Structured content implementation could come with some new rules and restrictions for authors and managers, like shorter character limits and more required fields. But rather than constrain the content, structure enables – frees – that content to be used automatically across multiple channels and devices and in a variety of previously impossible contexts. Natalya’s post is not only worth a read, as it explains a key principle, but it also shares a classic example of intelligent content: a recipe site. Of course, all of this is tip-of-the-iceberg learning and insights, and each of these ideas can be explored in much more depth. If you want to join us on this journey – and I hope you do – sign up for our weekly Content Strategy for Marketers newsletter. Not only will you receive our new posts, but you’ll also get an exclusive article from Robert Rose each week.